You are here: Home / Blog / Introducing New Award Badges for Miles on the Pacific Crest Trail! 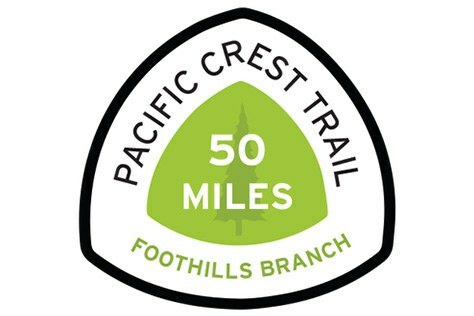 Introducing New Award Badges for Miles on the Pacific Crest Trail! Earn award badges on your Mountaineers website profile for completion of 50, 100, 250 and 500 miles hiked, backpacked, or snowshoed on the Pacific Crest Trail! To honor the amazing resource that is the Pacific Crest National Scenic Trail (PCT), Foothills Branch is sponsoring a new set of award badges, available to Mountaineers members from any branch, for hiking, backpacking or snowshoeing 50 or more miles of the PCT in Washington State on or after January 1, 2010. PCT miles hiked in any season back to January 1, 2010 can count toward a badge. A single person can get multiple badges as they achieve additional mileage milestones. Only actual Pacific Crest Trail miles qualify. Trails and roads that connect to the PCT do not qualify. Qualifying trips may be Mountaineers trips as well as private trips with non-Mountaineer members, but mileage must be traveled during a period when the applicant is/was a current member of The Mountaineers. Party size must be two or more. As with all Mountaineers trips, members seeking these badges for travel on the PCT are expected to adhere to Leave No Trace principles, good preparation, and a high standard of safety and courtesy while on the trail. Send your award request to the Foothills Hiking Committee Chair with your name, inclusive dates of current membership with The Mountaineers, your total mileage, the date of each trip, section of PCT covered by each trip (please use easily identifiable mileage landmarks such as found in the Pacific Crest Trail Data Book), miles of each section, and the names of all party members on each trip. Learn more about all award and peak pins offered by The Mountaineers.